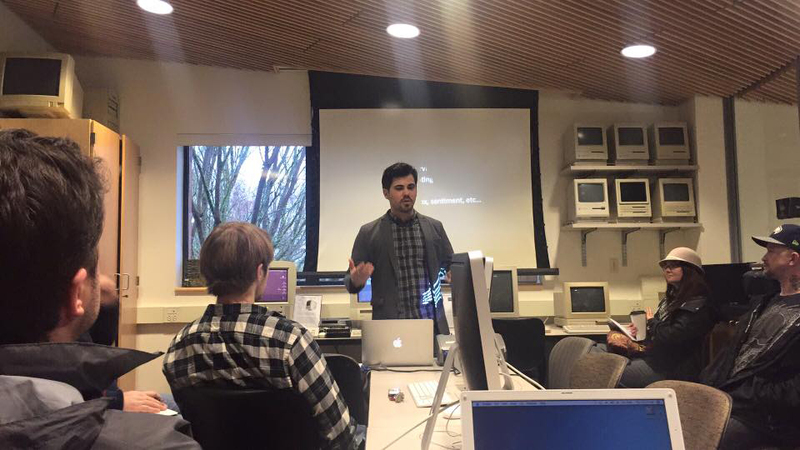 Yesterday’s talk by Dr. James O’Sullivan, entitled Algorithmic Criticism as an Approach to Electronic Literature, in celebration of the re-opening of ELL was attended by faculty and students in the CMDC program. 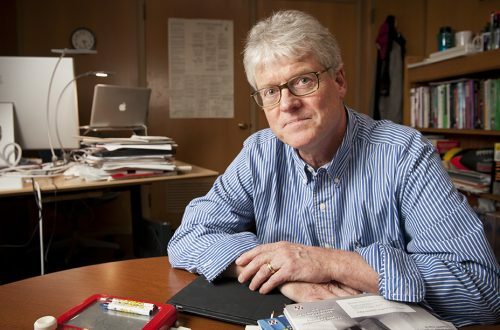 His research outlined a novel approach to e-lit criticism, demonstrating how computer-assisted critical methods can be used to help determine the extent to which electronic literature has evolved. 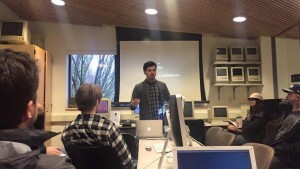 His work seeks to to produce quantitative evidence to support critical interpretations on the evolution of electronic literature, develop an understanding of the electronic literary movement, while breaking new ground in the application of specific computational methods to born-digital artistry. James O’Sullivan has spent the last three years at Penn State assisting with the development of the university’s Digital Humanities focus and will soon be joining the University of Sheffield as a member of the Humanities Research Institute. He holds advanced degrees in information technology, as well as literary studies. 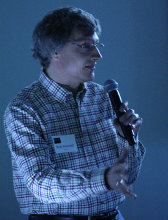 Primarily, James’ own research focuses on the poetics of electronic literature, as well as on the use of computational approaches to literary criticism. His work has been published in a variety of interdisciplinary journals, and he has presented at all of the major conferences in the field. In 2014, James was shortlisted for the Fortier Prize, while also receiving an Honorable Mention in the CSDH/SCHN Ian Lancashire Award. James is Chair of the DHSI Colloquium at the University of Victoria, a member of the Association for Computers and the Humanities’ Standing Committee on Affiliates, and an appointed member of the ADHO’s Global Outlook:Digital Humanities Executive. He is also a published poet, and the founder of New Binary Press. Further information on James and his work can be found at josullivan.org.